So, up to this point, we have a bunch of people climbing up the shoulders of other people, to the point that a child climbs up all this bunch of people and raises his hand. That’s really impressive, and beautiful. 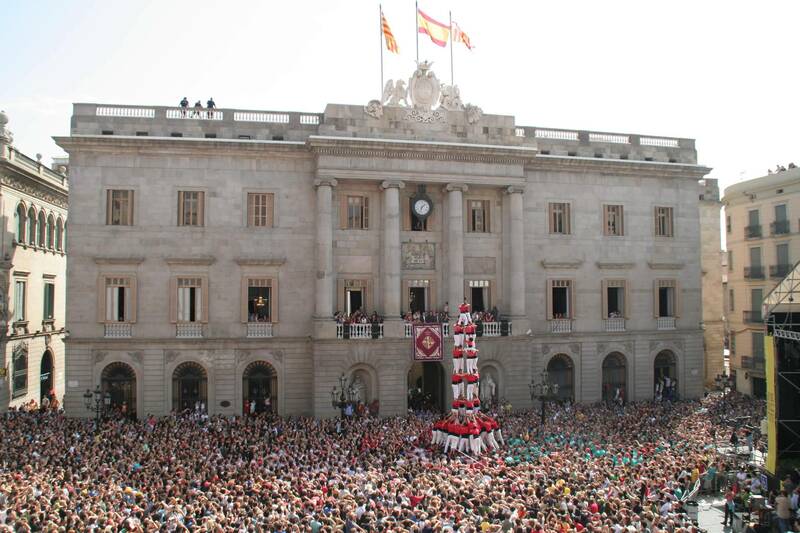 And all the people who sees castells for the first time gets shocked. Really. If you come to Barcelona for La Mercè’s fiestas (the week following september 24, they raise castells on Sunday) the only thing you will hear on Sunday at Plaça Sant Jaume will be Japanese girls’ yellings. And I guess you might know how acute they can be.